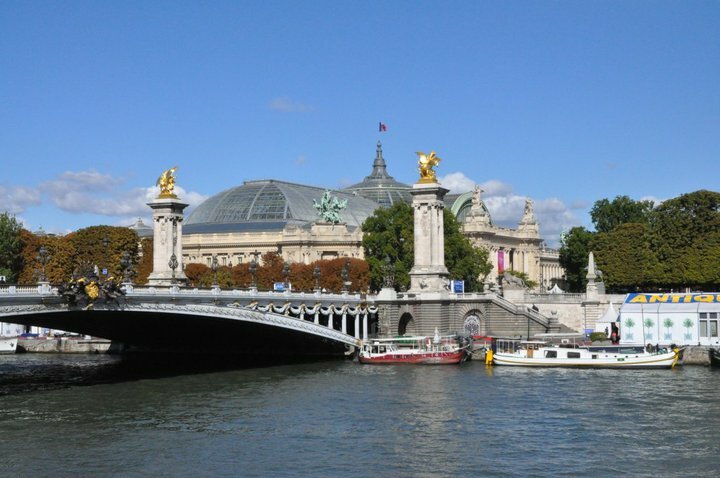 Arrival--I don’t think that I will ever get used to the time changes and the unpleasantness of travel these days but having made it across my 8 time zones and checked in at my usual hotel in Paris, I am ready to take on the XXV Biennale des Antiquaires. The Opening--After spending about 4 hours at the Biennale, with little sleep in the last 36 hours I am sitting at the computer to make some notes on my first impressions. 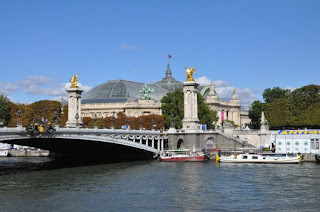 Just going into the glass enclosure that is the Grand Palais, built for the Universal Exhibition of 1900, is always a thrill; it improves any experience inside. This year the fair is laid out like a star with aisles radiating out from a central circle. For the opening there was a huge round bar for Champagne and other liquid refreshment and continuous hors d’oeuvre were served throughout the evening including all kinds of fish with foie gras for the carnivores. There were many mini refreshment stands as well along one’s route. As promised there was a surprise in the first booth that one came to on the right. As I entered, the proprietors said, “Welcome to America”. It was a to scale replica of the White House Oval Office. This was the booth of the Kraemer family. Based on the premise that the Oval Office is the most famous single room in the world, they posed the question,-- what if it had been furnished with French 18th century decorative arts. Of course, there was one truly American touch, a small Mark Rothko over the fireplace. I was with my associate Vince Hickman, who had actually been in the Oval Office, and he said this version was much more exciting. Actually, there have been various attempts to decorate the rooms in the White House with French 18th century. The best known being in the Kennedy Administration when the First Lady, Jacqueline Kennedy, an avowed Francophile, headed an effort to do so. However, when my wife, Penelope-Hunter Stiebel, was asked during the Clinton Administration to examine all the French decorative arts in the White House collection and report on their authenticity, condition and quality. To her and my surprise, besides the numerous Empire gilt bronze pieces purchased under President Madison, the two best pieces were acquired during the Nixon administration when the First Lady, Pat Nixon, led the effort. 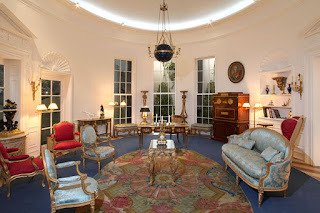 People loved the Kraemers’ Oval Office and many came in just to gawk and see photos of the real thing and what the Kraemers had done in their interpretation. It gave me hope that in the future many more dealers would be inspired to do inventive installations just like in the old days. Day Two--A day later much refreshed I could go to look through clearer eyes. The Biennale press release had noted this year’s accent on younger dealers. In order for the art world to continue as a vibrant field the new blood is vital. We need new dealers and new collectors and at last they are both definitely present. French 18th century decorative arts remain a good reason to visit the Biennale but there was a solid showing of the 19th and 20th century. And what was particularly interesting to me was the fact that many of the 18th century dealers are showing a contemporary highlight or two, proving that works of fine quality can live well together no matter the period. 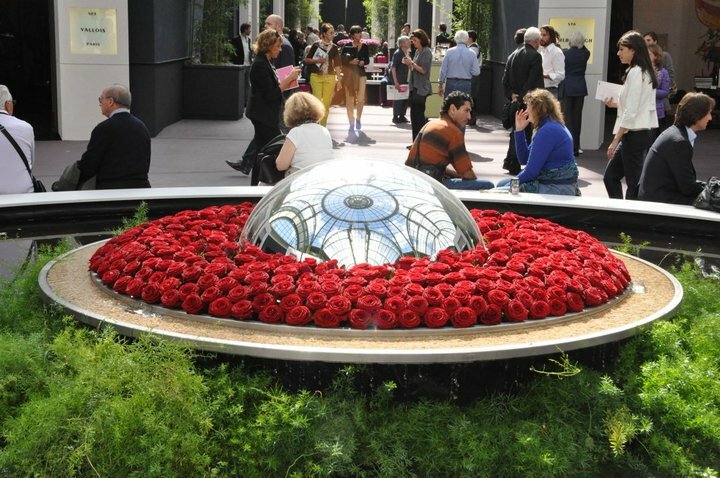 Another draw for the Biennale is the participation of the most important international jewelers. 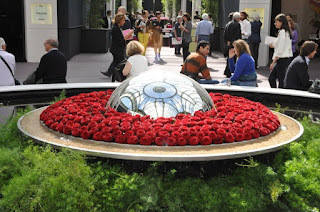 This encourages spouses, who may be as interested in gems as they are in art, to come along. In fact, for the opening the jewelers’ stands were too crowded for me to get near them.